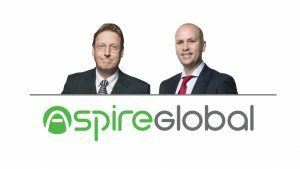 Aspire Global (ASG) has announced the addition of 2 new members to its board, Carl Klingberg and Fredrik Burvall. In addition, the board has selected Carl Klingberg to serve as Chairman of the board. The new Chairman of the Board Carl Klingberg has previously served as CEO of Ongame / bwin Games AB, at the time one of the world’s largest online poker providers. He is also chairman of Mackmyra Whiskey. His background is a degree from the Stockholm School of Economics with focus on marketing and computing. In welcoming new directors Carl Klingberg and Fredrik Burvall to the Board, Tsachi Maimon, CEO of Aspire Global said: These appointments provide additional experience and expertise to the organisation, complementing a strong group of existing directors and the management team. The knowledge and networks our new directors provide will support new strategic initiatives and strengthen the organisation’s connections within the Online Gaming sector. The fact that both new Directors are Swedes is no coincidence, there is a cluster of gaming skills in Stockholm, and also a number of partners and subcontractors to the gaming industry. Both Carl and Fredrik held senior positions in the industry’s leading companies, their addition will contribute greatly in achieving Aspire Globals growth targets”.